What a beautiful day to play golf wonder what the non golfers are doing? Can’t be as much fun. Left of reporting thinking we may have won something at Seymour but alas it was too hard. 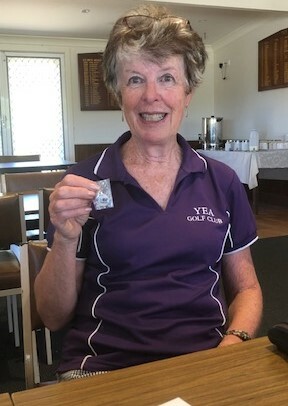 But back on our turf another monthly medal up for grabs and another tussle between Captain Vicky Butler and Jan Wealands Guess what Captain had to say Oh Well next time because Jan came away smiling money & medal mine mine! Well done always nice having a wee win. On another note Birthdays birthdays are a happening. Our Murrindindi Champ Sue Aurisch and our Secretary Vicki Clements Happy Birthday to you both. We hope you both had a wonderful day. Next week many are off to Bellaraine for a week may you play good golf and have a wow of a time I will miss you but don’t feel sorry your all gonna have fun fun. Happy golfing!